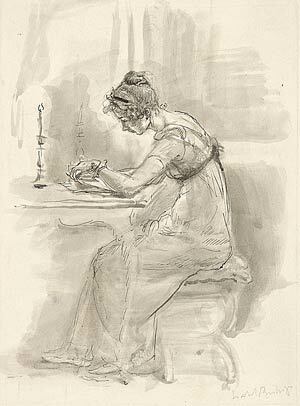 The New York Times reviews “A Woman’s Wit: Jane Austen in Life and Legacy” on exhibit at The Morgan Library & Museum. Even though there are approximately one billion newly published food memoirs per American second, everyone’s still obsessing over Jonathan Safran Foer and his book about that ultra-modern idea of vegetarianism. Wells Tower is also still writing for Outside Mag. According to the Rumpus, this is one example of why fiction writers make good journalists. There is still concern about the future of the short story. We think what these people are in fact concerned about is the future of the short story as published by the Big Publishing House. James Franco explains to New York Mag why he’s doing General Hospital: because he can! An illustrated guide to the menstrual cycle. Girls covering Cass McCombs? I want more! Aerosmith ends their 500 year career via this new technology called a blog. Hipster Runoff sorta makes everybody else who puts out a “Best Music of 2009” lists look silly. We are somewhat thankful.